Clientricity, LLC is a “boutique” retail customer‐centricity consulting firm that provides unparalleled retail and management expertise to global retailers, investment firms and technology providers servicing the retail industry. At Clientricity, we help transform retailers and retail technology partners into extraordinary customer-centric organizations. We are passionate about providing the strategy, expertise, training and technologies that differentiate retail brands, improve customer experiences and enhance productivity & profitability. Clientricity helps omni‐channel retailers and the vendors that work with them, identify and implement differentiated customer‐centric strategies and solutions. We have the requisite knowledge and resources needed to ensure successful implementations and cultural adoption of Clienteling, Guided & Assisted Selling, Loyalty, Social, Mobile and CRM solutions. Leveraging our unparalleled experience in delivering retail customer engagement solutions, Clientricity is uniquely positioned to assist retailers and partners with an array of customer‐focused initiatives, from concept through execution. Clientricity’s team of senior consultants and associates have been leading retail Clienteling initiatives for the last 25 years. In their various roles with leading Clienteling technology and service companies, these subject matter experts have designed and delivered many of the most successful Clienteling and customer-centric technology deployments in place today. When working with Clientricity, you can be confident that you’ll have a team with unparalleled subject matter expertise and a commitment to your clienteling success. Bryan Amaral – Principal Consultant/President & CEO of Clientricity, LLC. 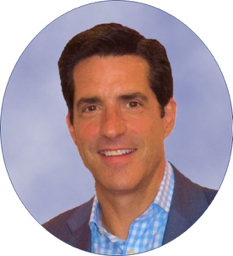 Bryan Amaral is Founder, President and CEO of Clientricity, LLC, a retail and retail technology consultancy focused on multi‐channel customer‐engagement, retail strategy, management consulting and selection, development & implementation of retail technologies. He is an accomplished retail executive, visionary customer‐centricity entrepreneur and Clienteling, Loyalty, Mobility and CRM expert with more than 30 years of retail and retail tech experience. As CEO of Retaligent and ImageWare Technologies, and as VP of Mobile Clienteling and Personalization solutions at Symbol Technologies (Motorola), he led strategic, transformational consulting engagements and designed/implemented next‐generation customer‐focused solutions for global retailers. His clients have included such well‐known brands as Saks Fifth Avenue, Neiman Marcus, Harrods, Hugo Boss, Giorgio Armani, Ralph Lauren Polo, Brooks Brothers, The Custom Shop, Grupo Sanborns Mexico, Alfred Dunhill, Loro Piana, Hudson’s Bay Company, Shiseido, HEB, de Bijenkorf, Calvin Klein and over 150 other retailers. Mr. Amaral has successfully forged strategic global relationships with Motorola, NCR, IBM, Avanade, Tectura, Teradata, Wincor Nixdorf, Fujitsu, Martec International and dozens of smaller software vendors and systems integrators. Amaral successfully has been involved in numerous engagements working with large retail CXO’s in the definition of omni‐channel customer strategy and store‐level processes. He has provided subject matter expertise related to clienteling & customer communication, customer retention & conversion, integration of loyalty & CRM strategies with store operations, personnel development, real‐time product recommendation initiatives and multi‐channel marketing.